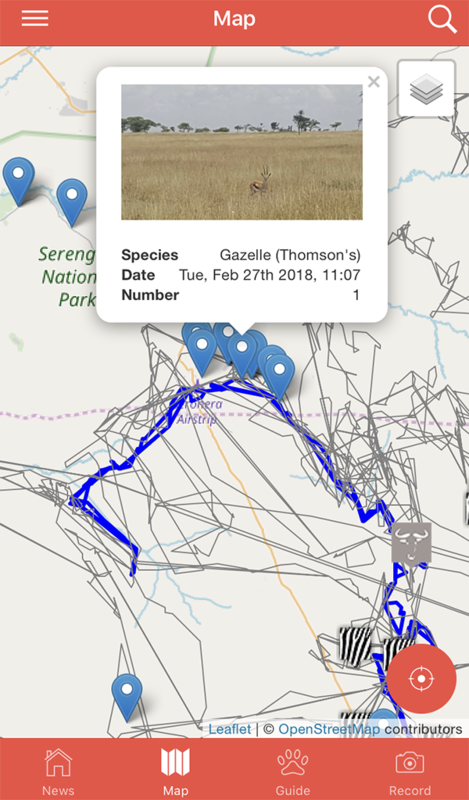 A team of University of Glasgow students, led by research fellow and AfricanBioServices participant, Dr Grant Hopcraft and research associate Dr Thomas Morrison have developed an app that will help users act like researchers and locate different animals in the Serengeti region. 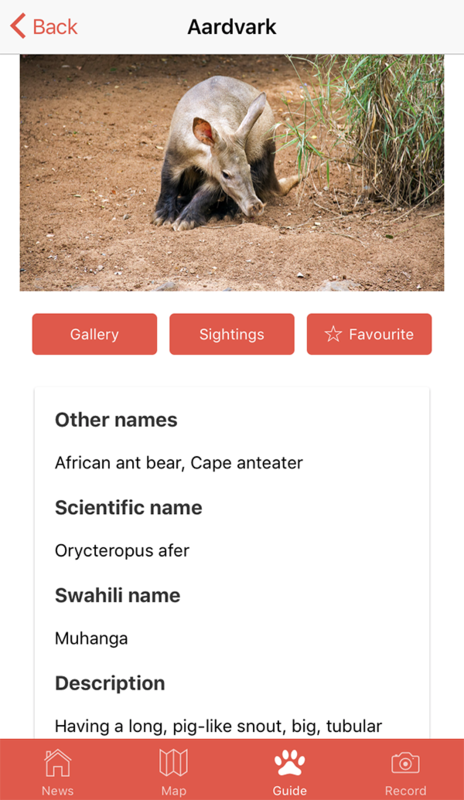 The app was created in close collaboration with the Tanzania Wildlife Research Institute (TAWIRI). 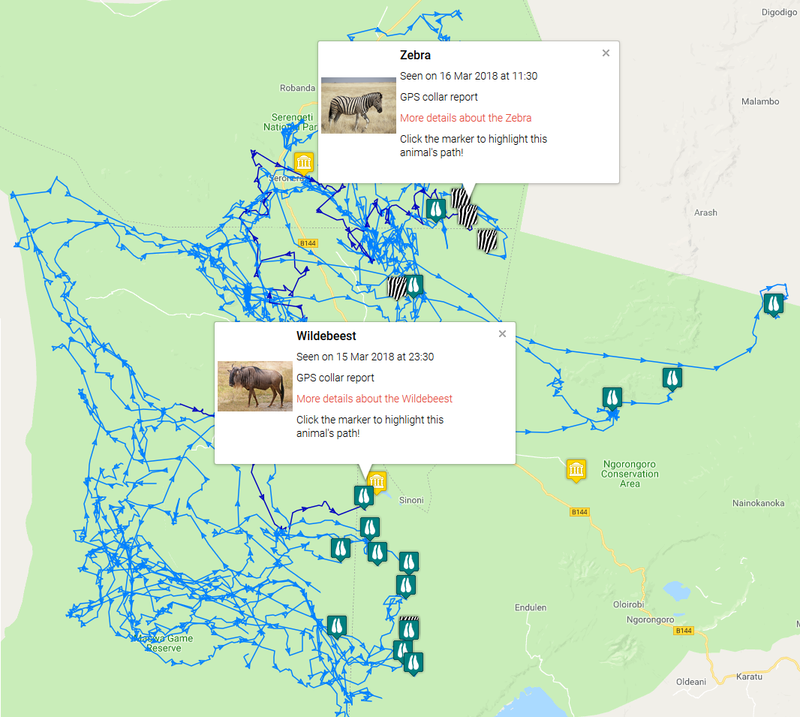 It is called Serengeti Animal Tracker, is free to download and available on both Google Play and the App Store. The annual great migration is the largest overland migration in the world, including wildebeest, zebra and various antelope species. The migration comprises close to 2 million animals, wildebeest being the vast majority. The Serengeti animal tracker app covers this event in detail, sometimes referred to as one of the “Seven New Wonders of the World”. The movement of the wildebeest (hooves squares) and zebra are covered in detail in the Serengeti Animal Tracker app. (combined screenshots from the web site version). Dr Grant Hopcraft is giving us a report on the interesting features of the app and the road ahead. The mobile phone app enables visitors to get daily updates about the location of the migration (wildebeest and zebra). 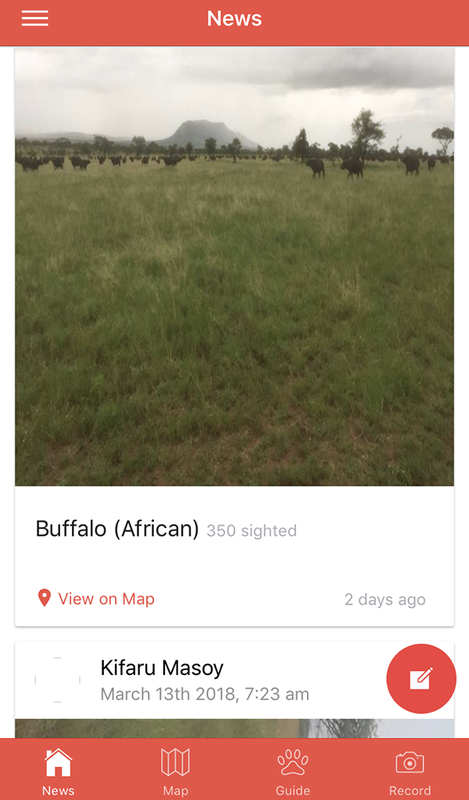 In addition, users can take pictures and share the locations of animal observations in real time. The observations are loaded both as a news feed (see “News” button) and as blue pins on the migration map, which enables users to quickly navigate to the observations. There is also a directory in which people can read about the biology and natural history of different species, and by clicking the “Recent observations” button, the database is queried for all observations of that particular species and displayed as a map, informing people about the most likely areas to find them (ie show me the locations of all leopards). This map shows the path of one Thomson’s Gazelle. In the animal Guide, you will get a list over animals in the Serengeti area. Here you can find a photo gallery of the animal, sightings and you can add the anmial to your favourite list. In the News feed, recent observations of animals can bee seen in real time. Upgrading the website map. The current version displays the movement of animals but does not show the other animal observations. We are aiming to make the app more widely used by the public with among other things, posters and flyers. Our field team are populating the database right now, so that we will have sufficient data and observations ready for people to search for species, once we start advertising.